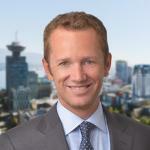 The BC Court of Appeal recently clarified that a plaintiff who recovers damages is the “successful party” for the purposes of costs. There had been a number of trial judgments (Visona v. Stewart, 2013 BCSC 2006, Werner v. Ondrus, 2013 BCSC 1565) that had deprived the plaintiff of costs after receiving judgment in less than the amount sought at trial. In Loft v. Nat, 2014 BCCA 108, Mr. Justice Goepel clarified that this is wrong in principle. While a trial judge retains discretion regarding costs, it is incorrect to say that a plaintiff was not “successful,” per R. 14-1(9) because they get less than plaintiff’s counsel asks for at trial. In this proceeding Mr. Loft was awarded damages for injuries he had suffered in the motor vehicle accident. The respondents had denied liability until shortly before trial. Although the damage award was far less than sought, Mr. Loft was the successful party. The fact that he obtained a judgment in an amount less than the amount sought is not, by itself, a proper reason for depriving him of costs: 3464920 Canada Inc. v. Strother, 2010 BCCA 328, 320 D.L.R. (4th) 637. The trial judge’s stated reason for awarding costs to the respondents was that the respondents had been largely successful in all areas of the claim. With respect, that decision is wrong in principle and cannot stand. I note that on the hearing of the appeal the respondents did not suggest otherwise. The fact that a party has been successful at trial does not however necessarily mean that the trial judge must award costs in its favour. The rule empowers the court to otherwise order. The court may make a contrary order for many reasons. One example is misconduct in the course of the litigation: Brown v. Lowe, 2002 BCCA 7, 97 B.C.L.R. (3d) 246. Another is a failure to accept an offer to settle under Rule 9-1. A third arises when the court rules against the successful party on one or more issues that took a discrete amount of time at trial. In such a case the judge may award costs in respect to those issues to the other party under Rule 14-1(15): Lee v. Jarvie, 2013 BCCA 515. Such an order is not a regular part of litigation and should be confined to relatively rare cases: Sutherland v. Canada (Attorney General), 2008 BCCA 27, 77 B.C.L.R. (4th) 142; Lewis v. Lehigh Northwest Cement Limited, 2009 BCCA 424, 97 B.C.L.R. (4th) 256. Whether a judge will order otherwise in any particular case will be dependent upon the circumstances of that individual action.